To all our Redex supporters in Australia we are currently having a supply problem from the UK and stocks are running out fast! Dating back to 1922, Redex has a colourful and fascinating history. Not least that Redex was added to the fuel of World War 2 planes to keep them flying for longer. These planes were marked with a characteristic Red X to give pilots extra confidence before flying. A shot of Redex was also given at petrol stations as a quick and easy addition to the fuel tank to improve engine performance. Over the years, Redex has remained at the forefront of engine technology and has also responded innovatively to todays need for more convenient packaging. Regular use saves fuel, reduces emissions and improves the life of engines and professionals can rest assured that Redex will effectively clean fuel systems and keep everyone driving. How often should I use Redex DPF Cleaner? We recommend that you use Redex DPF Cleaner in every second or third tank of fuel, particularly if you drive short journeys or do a lot of stop/start driving in a city. DPFs naturally become blocked, and it’s important that you don’t let it get more than 80% blocked. If this happens your car could go into limp mode, and you might need to pay a lot of money to have the DPF cleared. It’s also not good for the filter long term, and can shorten its life, which will also cost you a lot of money. Using Redex DPF Cleaner regularly will help your car to burn away the build up in the filter, preventing blockages. You can also use Redex DPF Cleaner when your warning light comes on to cure DPF problems – use it as soon as possible after the light comes on and it will clear the blockage. This is particularly important if you have an MOT coming up, as a warning light could cause you to fail. What is Petrol System Cleaner? You polish it. You wax it. You check the oil regularly. You get it serviced every 15,000 miles. 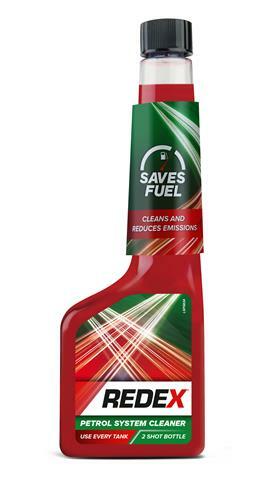 You want to save fuel and get the most out of your car, and that’s when you add Redex Petrol System Cleaner. "If you’re new to using fuel additives or haven’t used them in a while, I’d recommend adding a double dose of Redex Petrol System Cleaner in the first tank to give the injectors and fuel system a good clean." Using Redex is a simple part of a car maintenance routine which can increase fuel economy, keep your injectors working better and extend the life of your car. It’s like an exercise which keeps your car fit – pour a shot of Redex Petrol System Cleaner into the tank regularly to keep your car driving further. "I have used Redex in my 1.9 diesel Golf for about 3 months. The engine seems quieter and the mpg has gone from 57 mpg to 65 average"
Over time, as diesel is ignited and consumed by your engine, deposits build up on the fuel injectors making them less efficient. Getting rid of these deposits means diesel will be used more efficiently, saving you money and keeping you driving. Specially formulated for diesel cars, Redex Diesel System Cleaner fit easily into your routine, as you simply pour into the tank with your diesel. Regular use will keep your fuel consumption and emissions low throughout the year helping your pocket as well as the environment, and making Redex fuel additives the best choice for responsible drivers, every time. "If you’re new to using fuel additives or haven’t used them in a while, I’d recommend adding a double dose of Redex Diesel System Cleaner in the first tank to give the injectors and fuel system a good clean." What is Lead Replacement Multidose? If your car is designed to use leaded petrol, using unleaded can seriously damage the engine and reduce power. This is particularly a problem for older classic and vintage cars. Redex is dedicated to keeping cars driving, even those not designed to use today’s modern fuels. Redex Lead Replacement can be added to your engine with unleaded petrol to provide your car with the additives it needs. It lubricates soft valve seats and protects them against damage. Use regularly in any car designed to run on leaded petrol to maintain performance. Maintains peak engine performance, Treats 4 full tanks with one bottle, Care for your older car’s engine today with Lead Replacement Multidose. What is Petrol Power Booster? Petrol fuels combust at different speeds depending on their quality, and this combustion speed is called the Octane number. A higher Octane number means better quality fuel and increased performance. Due to the variations in petrol quality, Redex have developed this specialist Octane booster to maximise performance and offer potential increases in fuel economy. It increases your petrol’s Octane number by up to 1.5, so no matter what you put in your car you can be sure that it is receiving the best. Petrol Power Booster can be added to a full tank of petrol, and should be used regularly for best results. Improve your Octane number today with Redex Petrol Power Booster. What is Redex Engine Flush? 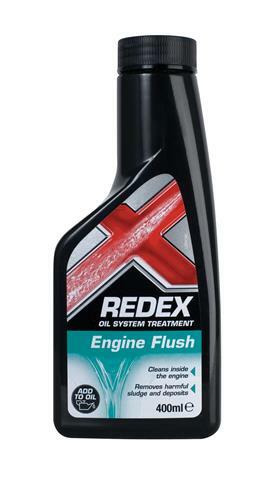 Redex Engine Flush helps remove harmful sludge and deposits that form in your engine over time. These harmful deposits and sludge can reduce engine performance and increase engine wear. These deposits and sludge can be a result of every day driving – prolong idling, stop- start driving and towing all impact on deposit formation. These deposits can restrict oil flow, dramatically increasing wear which may result in premature engine failure. Redex Engine Flush internally cleans your engine during the oil change process. It helps remove the build-up of sludge and deposits, varnish and corrosive acids that develop through normal driving, extending the life of your engine. Redex Engine Flush is suitable for Petrol and Diesel engines, including turbo-charged and those fitted with Catalytic Converters. Simply add one full bottle of Redex Engine Flush to your engine oil before your oil change and run engine for at least 5 minutes (but not more than 160km). Carefully drain engine oil while it is still warm and then continue with your oil change. Replace oil and oil filter as per normal. Redex Oil Treatment is compatible with single or multigrade oils and regular or synthetic oil. What is Redex Stop Smoke? Redex Stop Smoke has been formulated to help reduce exhaust smoke caused by oil burning. As an engine gets older, moving parts that are constantly in contact with one and other can wear. Metal to metal contact and resulting friction, increase the maximum tolerances between piston rings, cylinder walls and valve guide and seals. This allows oil to enter the combustion chamber along with the fuel. When this oil / fuel mixture burns it creates blue or grey exhaust smoke. Redex Stop Smoke Oil increases oil viscosity which in turns heaps to seal and reduce the tolerances between worn engine parts. This reduces exhaust smoke and oil consumption. It also reduces engine noise and engine wear. Simply add one full bottle of Redex Stop Oil to your engine oil when engine is warm either during or between oil changes. 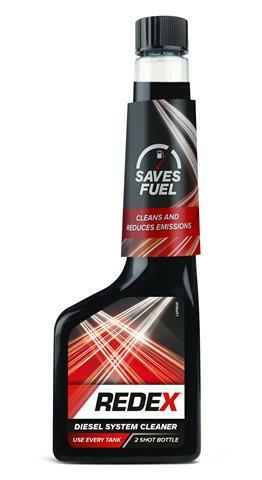 Redex Stop Smoke Oil is compatible for Petrol and Diesel engines, with regular or synthetic oils. What is Redex Stop Oil Leak? Have you got a small oil leak ? Redex Stop Oil Leak will stop and help prevent minor oil leaks. Over time, gaskets and seals become dry and brittle, losing their elasticity. This loss of elasticity, especially in seals, is the main cause of oil leaks. Redex Stop Oil Leak has been formulated to condition and rejuvenate seals and gaskets thus stopping minor oil leaks. Redex Stop Oil Leak is suitable for Petrol and Diesel engines, including turbo-charged and those fitted with Catalytic Converters. Simply add one full bottle of Redex Oil Treatment to your engine oil when engine is warm either during or between oil changes. One bottle of will treat up to 5 litres of oil. Redex Stop Oil Leak is compatible with single or multigrade oils and regular or synthetic oil. We sell and recommend a huge range of Redex products. Use the link below to scroll through the range of Redex products. If you cannot find what you are looking for simply send us an e-mail with your request. CLICK ME TO ORDER REDEX ON-LINE! For detailed product information and local distribution please contact Noel Comerford's Auto Parts 366 Edward Street, Wagga Wagga NSW 2650 Australia your Simoniz distributor.